It was hard to exactly comprehend what their frolicking meant, but they were undeniably having fun. While one was swimming sideways slapping his pectorals, the other was flipping backwards. While one arched its back to dive, the other was squirting to breathe, forming a rainbow on his spray. Every now and then the water got quiet, making us believe they were gone, till another sudden appearance would imply otherwise. Our initial encounter with a mother-calf duo had left us a bit disappointed when the mom got understandably protective of her calf and expressed indifference and eventually disdain to our presence, which forced us to move on in search of more migrating passers-by. That’s when the ‘muggers’ found us, and gave us the best whale encounter one could’ve possibly asked for! Here are some of the whale behaviours we encountered. The whale jumps out of the water backwards and plunges right back in. It is apparently for the purpose of communicating with other whales, clearing parasites from their skin, scaring their prey or as a playful behaviour. The whale hangs vertically in water or holds its head above the surface to take a peek outside. It’s not just us who’re watching them! Breathing is a voluntary process for the whales who come up to take in air as they blow out air. They are able to put only one half of their brain to sleep at a time, to be able to consciously breathe. The whale hangs vertically downwards in the water with its tail out of the surface, which it then beats on the water. It could apparently be for communication with other whales, scare the prey, defend themselves or as a display behavior. Whales raise their pectoral fin out of the water and slaps it on the surface. Whales, after coming up for a breath, usually round out their body before diving back in. A newborn calf of a humpback whale can be 15 feet long and weigh 2.5 tonnes, while the adult can be 3 times its length and 12 times the weight! 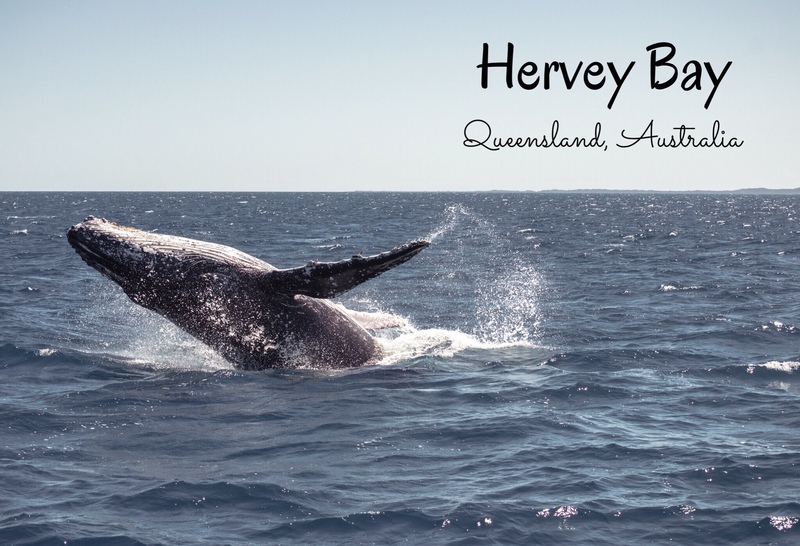 As the adult whales migrate each year from the cold Antarctic waters to the warm tropical waters, to calve, and back, one of the very few places they stop to feed their calves is the coastal waters of Hervey Bay, along Southern Queensland coast. It is between July and November each year this spectacle occurs along these coastal waters they traverse. I picked Whalesong cruises based on their customer reviews, more details here. Would love to hear your thoughts or experiences in the comments section below! You can also follow me on Facebook, Instagram and Twitter! quite some experience? looks like one! It most definitely was arv!